First live studio recording to be released on 3D Blu-ray | What Hi-Fi? 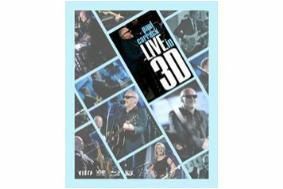 Originally commissioned and filmed by Panasonic at Air Studios in London, the 3D Blu-ray disc is 'Paul Carrack Live in 3D'. An original member of Mike and The Mechanics, the disc is Panasonic's first 'end-to-end' 3D Blu-ray disc. This end-to-end solution involved filming on Panasonic Broadcast 3D cameras and authoring at Panasonic's Hollywood Laboratory, and it's now available on 3D Blu-ray disc.